You guys already know I'm crazy about Annie Sloan Chalk Paint. Often, when I mention the brand to people, they confuse it with chalkboard paint… but no. This stuff is way better. You don't have to sand or prime the piece before you start painting! That reason alone was enough to convert me. But additionally, it creates this impressive patina that looks sort of aged… I wouldn't know where to begin to imitate that look. 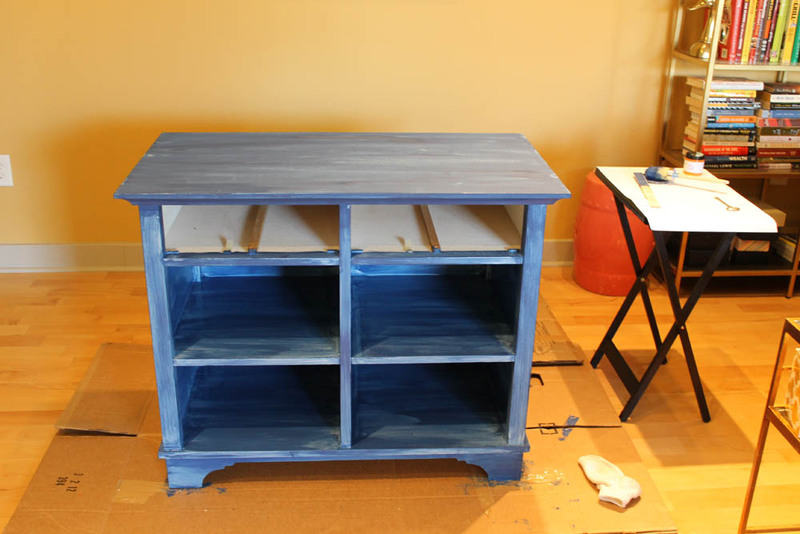 My latest project used her Napoleonic Blue paint. We'd been using an old bedroom piece in our living room as a bar. It looked way too much like a nursery piece, being white, plus our awful movers had beat the cr*p out of it when they moved us to North Carolina. It really needed a makeover. We placed the bar under my reproduction of Manet's Bar at the Folies-Bergere, so I thought a blue piece would complement it well. First Coat… needs a couple more, doncha think? 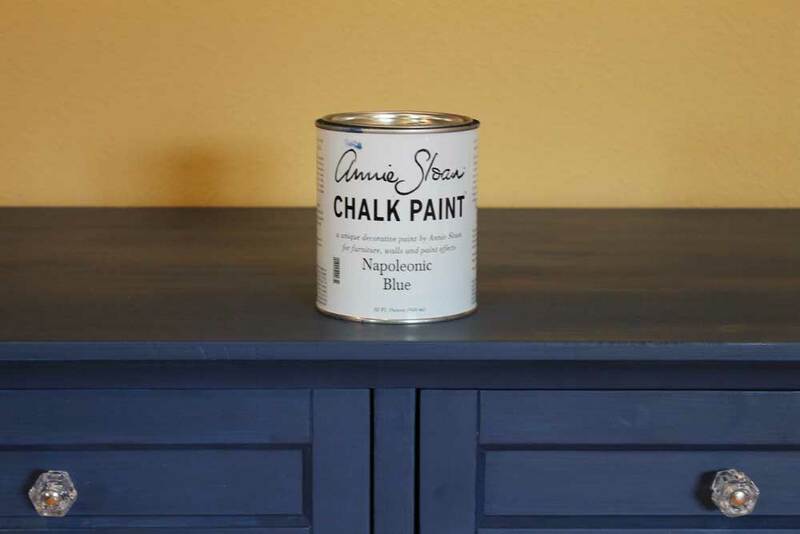 The Annie Sloan Chalk Paint effect… see how the wet paint is glossy, but the dry paint has a matte, chalky appearance? It gets a little bit glossier when you add the clear wax overcoat, but not much. After the second coat, I STILL needed to make touch-ups… I'd say this piece took two and a half coats. It's difficult to get full coverage when you're painting a dark color over white. Ready for wax! Almost finished. …and we're done! I'm still looking for some gold, brass, or bronze knobs… anybody know of good sources in the Triangle area of NC? UPDATE: Found some knobs on eBay!